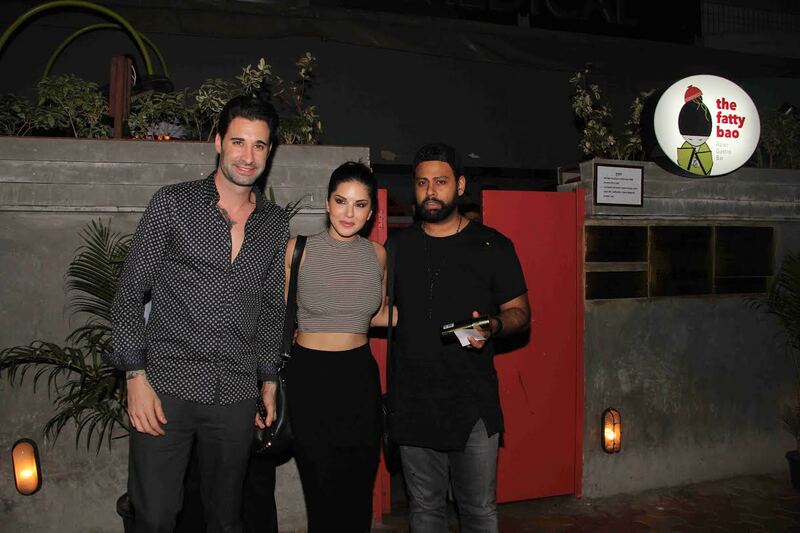 Bollywood actress Sunny Leone snapped post dinner with Husband Daniel Weber and VJ Andy at Fatty Bao restaurant. Looks like the Leone and Andy are re-visiting their Bigg Boss stint. A former adult star, Leone was spotted by Bollywood biggies while she participated in the reality show. VJ Andy was also a competitor in the show but the two actors did not participate in the same year.